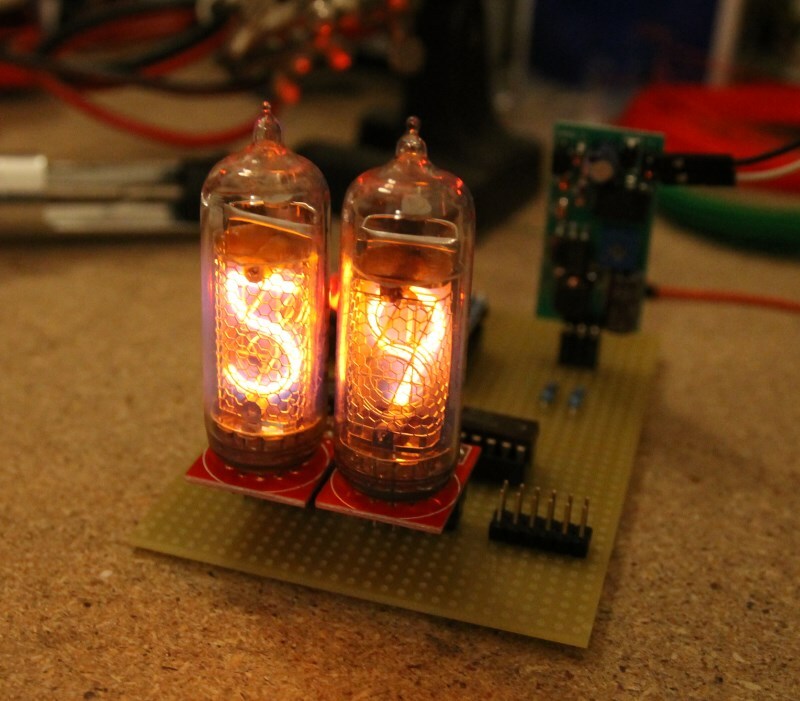 lucadentella.it – Nixie thermometer – two is better than one! Nixie thermometer – two is better than one! 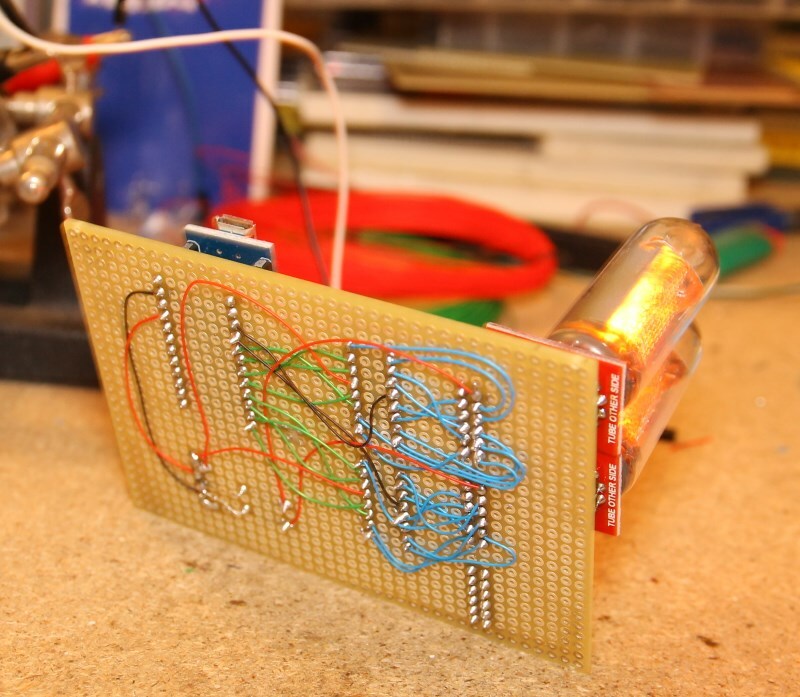 Today I modified the prototype adding the second IN-14 nixie tube: together, they will display the actual temperature in a range from 0 to 99°C. I simply copied the schematics described in my previous post, adding a new K155ID1 IC and connecting its inputs A,B,C,D to the PINs 6,7,8,9 of the Arduino Pro Micro. Nixie thermometer – the prototype is complete!